In New York State, over 750 agencies provide services to individuals with developmental disabilities. Of these, only 50 also provide mental health services to adults. Of these, only 2 also provide services to people with epilepsy. Of these, only 1 also provides mental health services to children……EPIC Long Island. 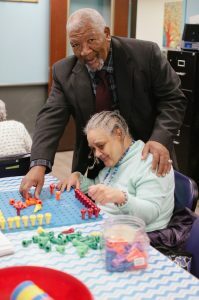 offsite clinic services for adults with developmental disabilities throughout Queens, Brooklyn, the Bronx, Manhattan, Westchester and Rockland. Epilepsy Community Outreach and Education Program providing training and education to teachers, healthcare professionals, school children and the general public about epilepsy, as well as advocacy and support services.